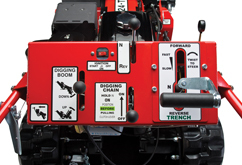 With a revolutionary 2-pump, 2-motor wheel drive system, one hand easily operates the wheel controls for traveling to the job site and maneuvering while trenching. 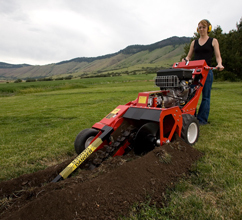 Zero turn radius capability makes trenching sprinkler grids a breeze. 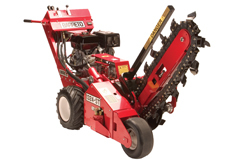 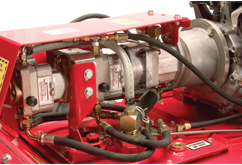 Precise wheel control helps eliminate drifting when trenching on uneven terrain and hillsides. 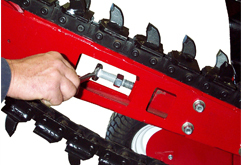 The outboard bearing support is standard, protecting the auger shaft from bending due to impact from rocks or other debris.